Attention Trace fans! 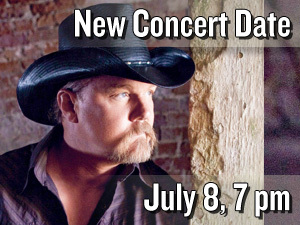 The date of Trace Adkins’ concert (originally scheduled for Sunday, August 26) has been rescheduled for Sunday, July 8 at 7 pm. Tickets will be available to Members on Tuesday, February 28, and to the general public on Saturday, March 3.